Vibration and drop-shock resistant. Touchscreen. Free Shipping. Fully Rugged Toughbook, for when failure is not an option. 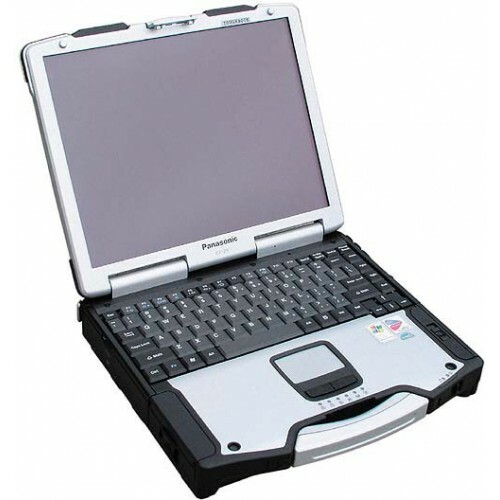 Out in the field or down in the dirt, the durable Panasonic Toughbook CF-30 laptop is built to take a beating. Tested for ruggedness, this brawny workhorse is encased in magnesium alloy, with durability designed into every seal, hinge and connector. It's built for quick processing and wireless connectivity. Communicate in real time from remote areas, access databases online and run sophisticated software applications even in the harshest environments. The Toughbook 30 is vibration and dro-shock resistant.